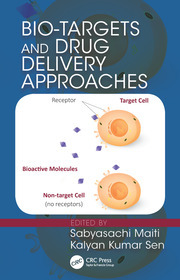 Novel Drug Delivery Systems for Phytoconstituents discusses general principles of drug targeting, construction material and technological concerns of different phytoconstituent in delivery systems. It focuses on the development of novel herbal formulations and summarizes their method of preparation, type of active ingredients, route of administration, biological activity and their applications. It dicusses therapeutic activities of plant derived chemicals, their limitations in clinical applications and novel drug delivery solutions to overcome them to provide better therapeutic effects with controlled and targeted drug delivery. 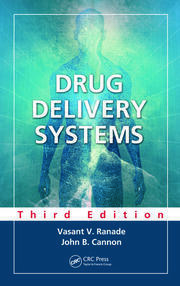 Summarizes efficient novel delivery systems-based formulations. 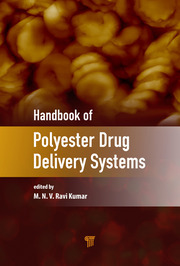 It extensively covers the applications of novel drug delivery systems including polymeric nanoparticles, solid lipid nanoparticles, nanostructured lipid capsules, liposomes, phytosomes, microsphere, transferosomes, and ethosomes. 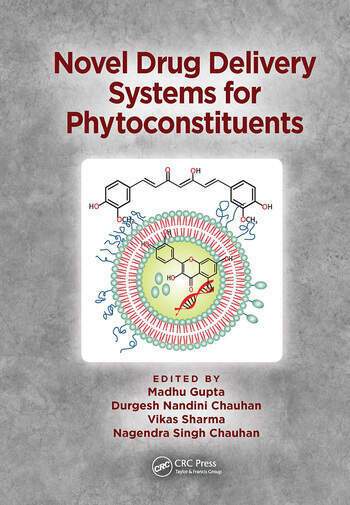 Some chapters are especially focused on anticancer phytodrugs, silymarin, andrographolide, berberine, and curcumin delivery with special emphasis on their application. 7. Novel UV Filtering Agents for Next Generation Cosmetics: Form Phytochemicals to Inorganic Nanomaterials. Dr. Madhu Gupta is working as an officer on Special duty to Vice-Chancellor, in Delhi Pharmaceutical Sciences and Research University. Along with teaching and research, she is member secretary of World Class skill Centre courses, PRO, Web site In-charge, IQAC inchargewith many other managerial work. She is pioneer scientist in the field of nanotechnology and drug delivery field. She has judiously exploited bioligands for targeting of bioactives and drug moiety. She has over 40 research publications to her credit published in journals of high scientific impact and contributed 18 chapters in various renowned books and to several international and national books. Dr. Gupta has H-index of 12, i10-index of 14 and more than 600 citations. She has the awardees of various national and International conference in the form of best oral and poster presentation award and other national and international awards. She has supervised 15 M.Pharm students. Dr. Gupta has availed several prestigious fellowships and awards SRF AICTE (NDF), JRF (AICTE), Travel grant awards (DST, ICMR, INSA, and DBT, MPCST), Prof. G.P. nait Award (2004), Prof. C.S. Chauhan Award (2004). She has her research work at BioAsia Innovation Award – 2012, grace india aawards, Youth Education award-2018, Young Researcher Award. She is successfully complete one project that is funded by MPCST Bhopal. Mrs. Durgesh Nandini Chauhan completed her B.Pharm degree in Pharmacy from the Rajiv Gandhi Proudyogiki Vishwavidyalaya, Bhopal, India and her M.Pharma (pharmaceutical sciences) in pharmaceutics from Uttar Pradesh Technical University,currently Dr. A.P.J. Abdul Kalam Technical University, Lucknow in 2006. Mrs. Durgesh Nandini Chauhan has 10 years of academic (teaching) experience from Institutes of India in pharmaceutical sciences. She has written more than 10 publications in national and international journals, 13 book chapters, and authored in 2 books “Optimization and Evaluation of an Organogel” and “Plant and Marine Based Phytochemicals for Human Health: Attributes, Potential, and Use”. She is also active as a reviewer for several international scientific journals and active participant in national and international conferences such as Bhartiya Vigyan Sammelan and International Convention of Society of Pharmacognosy. Dr. Vikas Sharma is Associate professor and Principal Shri Rawatpura Sarkar Institute of Pharmacy Datia (M.P.) India. Dr. Sharma obtained his B. Pharm from Jiwaji University Gwalior, M. Pharm. in Pharmacognosy and Ph.D. from Dr. H.S. Gour Central University Sagar. India. Sharma is having teaching and research experience of more than 12 years. He has made significant contributions in the area of medicinal plant research. He has also made significant contribution on development of chemical profiling of extracts and formulation through TLC, HPTLC and LC-MS. He is supervising scientific research of the post graduation and the doctoral level. He has written several researches and review paper in reputed journals and has contributed several chapters in books on Pharmaceutical and Indigenous drugs. Dr. Nagendra Singh Chauhan is presently working as Senior Scientific Officer Grade-II and Government Analyst at Drugs Testing Laboratory avam Anusandhan Kendra ,Raipur, Chhattisgarh, India . He has professional Expertise in Natural Product Isolation.He has written more than 50 articles published in national and international journals, 20 book chapters. He has citations more than 1400 with h-index 21 and i10 index of 32 (Google scholar) and scopus h-index 15; 669 citations. He is a member of various professional and academic bodies like Society of Pharmacognosy, International Natural Product Sciences Taskforce (INPST) society, SILAE: Società Italo-Latinoamericana di Etnomedicina (The Scientific Network on Ethnomedicine, Italy), Institutional Human ethical committee, Association of Pharmaceutical Teachers of India (APTI).